Are you looking to upgrade or renovate your bathroom? If you are, then you must make sure to choose items that will make your bathroom both functional and attractive. With this in mind, today we’ll take a look at 5 must-have products for bathroom renovations in Perth. Take a look at these and make sure to include them in your bathroom renovation. 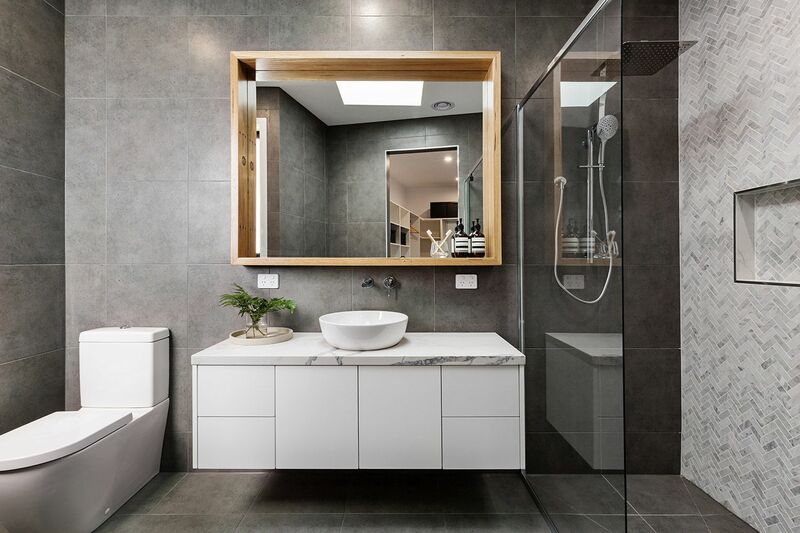 The majority of bathroom renovations in Perth add extra storage space. Regardless of whether your bathroom is large or small, storage is a necessity. Without it, you’ll have to place your essentials, which will not only make your beautiful new bathroom look cluttered and messy, but it will also cause you a lot of frustration. When looking at bathroom storage options, be mindful to choose practicality over style. You’ll find storage options for bathrooms of any shape or size but your priority should be to choose an option that offers enough storage for your needs. Storage solutions to consider include vanities with side cabinets, mirrored cabinets and bathroom shelves. Alpine Building Products have the perfect storage solutions for your needs, including the Laval Vanity Range and the Belford Vanity Range – both come with matching side cabinets or mirrored cabinets which offer ample storage. There’s no denying that the bathroom vanity is one of the most used items in any bathroom. If you share your bathroom with your family to get ready in the morning, then a double vanity will be a godsend. Not only will it offer enough space for two people to get ready simultaneously, but it will also add a touch of luxury to your new bathroom. A double vanity makes for a beautiful and efficient addition to any bathroom renovation. It’ll also add a touch of luxurious– which is right on trend. To add a double vanity to your bathroom, look no further than Alpine Building Products’ range of vanities. In particular, look to the Maddison 150cm, Maddison 180cm, Brianna 150cm Double Bowl and the Astra 150cm double vanities. A new bath is another must-have for your bathroom renovation. A new bath will make your bathroom much more enjoyable, luxurious, and it will also increase the visual appeal of your space. Moreover, you have plenty of options to suit your bathroom’s size and design style. From freestanding baths to inset baths, you’ll find plenty of options in different shapes and sizes. If you are considering adding a new bath to your renovation, then you’ll find a great range of quality baths in the Alpine Building Products range. Popular baths include the Morocco Back to the Wall Free Standing Bath 170cm, the Mirage 170cm and the Galaxy Oval 170cm bath. A handheld shower has become a very popular and very practical addition to bathroom renovations in Perth. With the help of a handheld shower, you can wash all areas of your body with ease. Moreover, modern handheld showers come with a variety of shower heads which offer different massage experiences. Alpine Building Products offer a range of quality handheld showers. In particular, consider the Roma Square Twin Shower, the Cube Hand Shower Rail Set or the Charli Hand Shower – you won’t go wrong in choosing any of them. Finally, you must look to include a towel rail in your bathroom renovation. Towel rails are incredibly functional, and they offer you space to hang your damp towels. With the help of a towel rail, you’ll never need to leave damp towels on the floor ever again. For a quality towel rail, Alpine Building Products has just the product. The Square Double Towel Rail and the Round Single Towel Rail are both attractive and functional choices for your new bathroom. If you’re undergoing a bathroom renovation in Perth, there are some must-have products to include. These include storage solutions, a double vanity, a bath, a handheld shower and a towel rail. These essential bathroom products will make your space both functional as well as attractive. And best of all, you will find a wide range of these products from Alpine Building Products. We manufacture quality, yet affordable, bathroom renovation products in Perth. From tapware to vanities, baths to bath and shower screens, toilets, and other bathroom accessories, you’ll find everything you need for your renovation in our range. Simply visit your nearest Alpine Building Products retailer to purchase our products.